Endodontics – you’re probably more familiar with the term root canal therapy – is the specialty in dentistry that deals with problems with the pulp inside of the tooth. Each tooth contains what is commonly referred to as the pulp, and the pulp consists of living tissue that carries blood to the tooth and allows you to feel when there is serious trouble with your oral health. When problems with the pulp arise, it can threaten the life of the tooth, and endodontics involves various treatments, like root canal therapy, that can treat these problems. 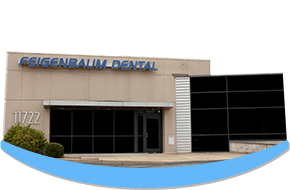 Endodontic care from Feigenbaum Dental in Creve Coeur, MO includes root canal therapy, endodontic retreatment, and other procedures designed to save teeth threatened by dental injury and disease. If you have a chronic toothache, odds are good that extreme decay has broken through to the pulp chamber and inflamed the nerve. When this happens, we may perform root canal therapy. Root canal therapy is an endodontic treatment that can treat problems like this. Our dentists will go in through the decayed area, removing damaged pieces of tooth and clearing the way to the chamber. He then removes the damaged pulp, detoxifies the chamber, and fills the tooth. A crown is placed to fully restore the tooth to function, beauty, and strength. Root canal therapy can be used when pulp has been damaged by either a large cavity that caused irritation and infection or a dental injury that damaged the pulp. Without root canal therapy, many patients who’ve encountered these problems will lose the affected tooth. Root canal therapy is generally very successful, but occasionally patients require endodontic retreatment. This is a procedure by which our dentists retreat a root canal that has failed. For very advanced cases, we may refer you to an endodontic specialist. However, with our gentle touch and attention to detail, we perform a number of root canal therapy procedures for patients who prefer our comforting chairside manner.